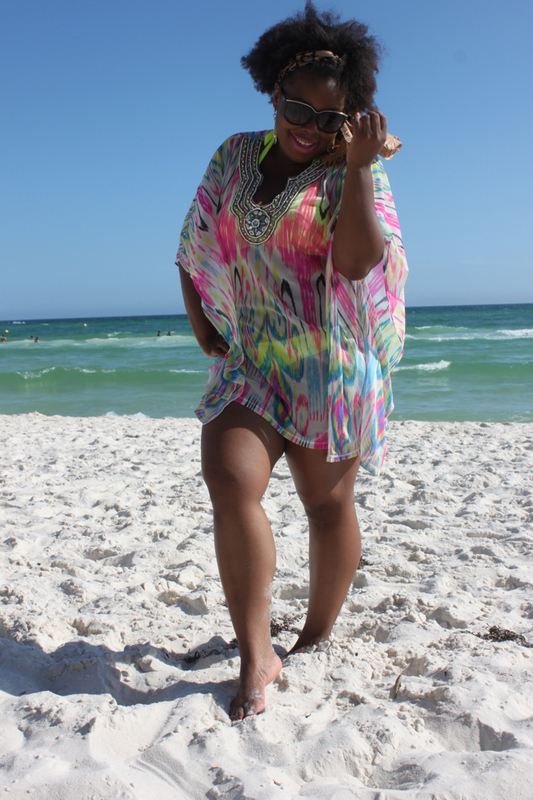 Hey loves, since moving to the PCB area I have been surely taking advantage of my new 'backyard', the beach. These pics are from when my boo Sebastian paid me a visit. We spent the afternoon beach bummin, gettin our Morrocan tan on, drinking, and being silly. Love this dude and can't wait for him to visit again. 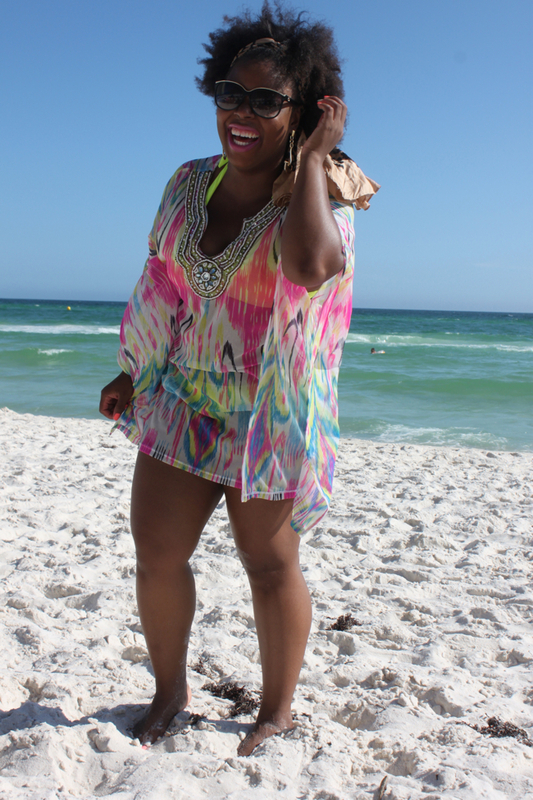 When hitting the beach I like to be care free and comfy yet FAB. 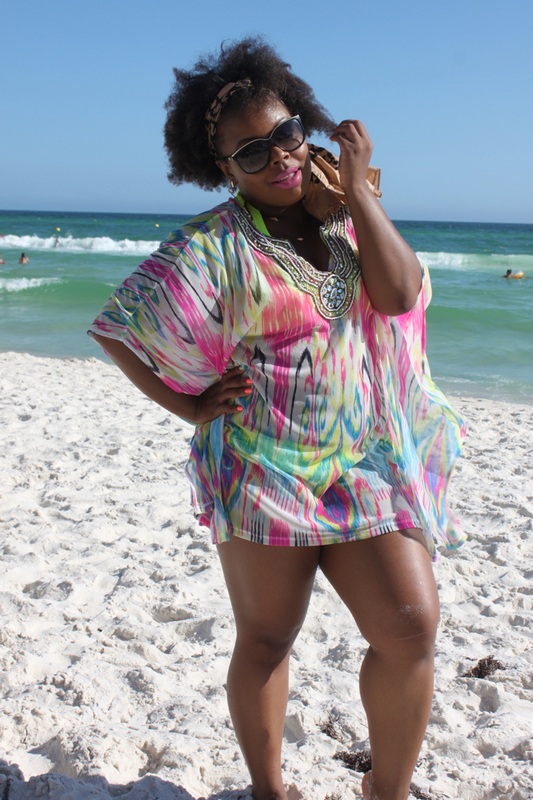 This beautiful coverup I snagged at Macy's last year was a perfect pair with my neon yellow suit and natural hair. This hair was originally a successful and pretty twistout but when that beach breeze, water and humidity hit it it was a wrap baby. Lovin playing with my natural tresses lately. Been taking a break from the weave for a minute but I'm not gonna lie I miss my signature doo! Bikini: Victoria's Secret, cute one HERE, wish I could wear this ONE...one day! So much style, so lil clothes. 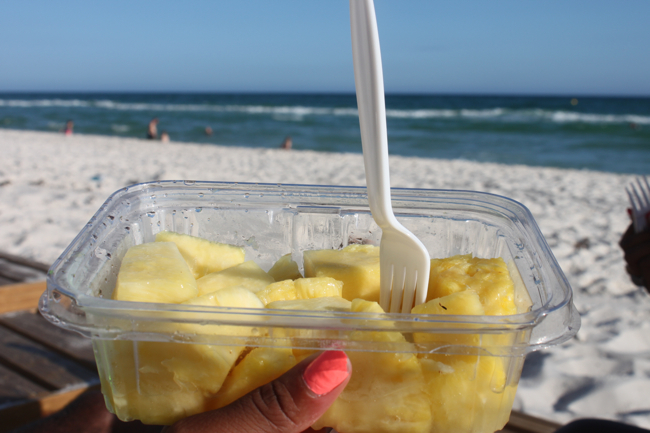 Fresh Pineapples are THE perfect beach snack. Ur beach outfit is soo cute... I love his necklace.. it is awesome!! Family Fun & Box Braids!